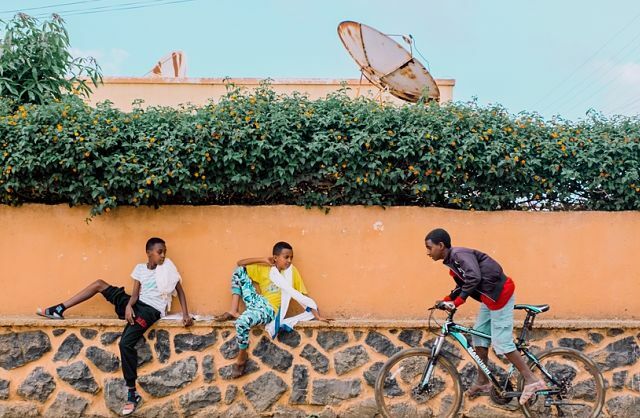 New York (TADIAS) – A new generation of Ethiopian photographers are redefining the way people perceive Ethiopia both at home and internationally. Among them are Girma Berta and Eyerusalem Jiregna whose latest works are set to go on display at Addis Fine Art Gallery in Addis Ababa, from April 9th through May 25th, 2019, in an exhibition titled From Our Perspective: Young Ethiopian Photographers Changing the Gaze. “Informed by her experience in design, Jirenga specialises in evocatively bright and discerning portraits, enliven with distinctive and striking colour detail,” states the Addis Fine Art press release. “Her use of rich textures and colours plays against the crisp focus of her photographs, enhancing their warm, visually stimulating effect. Eyerusalem Jirenga has received considerable acclaim for her work both within Ethiopia and internationally. She has exhibited in the New York photography festival Photoville 2016 and participated in the New York Times Portfolio Review 2016.” Eyerusalem has also participated in solo and group shows in Johannesburg, Cape Town and New York City.